Callie can't resist the advertisement for a ranch manager in Montana. Only thing is, it also stipulates marriage. Down on her luck with more debt than she can manage after the death of her parents in a vehicle accident, she takes the plunge and commits for twelve months. Chance is sick of the high life he's led for years as a top International Bull Rider. The glitz and glamour aren't what he wants. 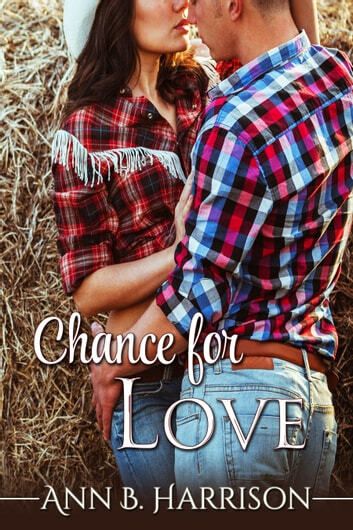 After an accident leaves him unable to return to the tour, he decides now is the time to do what his heart has been yearning for - marry a down to earth country girl and raise bulls on his ranch, with the hope of bringing his brothers back together. Little did he know that an advertisement would bring him a sassy talking Australian bride to turn his world up side down... Will Callie return home after her contract is up, or can Chance convince her to say I do forever? Fantastic romance by Ann. There's nothing better than a cowboy meeting his match however it comes about. Loved this book. Such an amazing book and such a great use of words to create the images of the story. Loved it and would totally read again, but the only thing I would have to say is I just wish is if there was another book just about Chance and Callie. Over all a beautiful read and will highly recommend. Chance Watson needs a ranch manager, and a wife. When he advertises for one he finds Callie Lister, an Australian farmer. Callie has lost her parents and now needs to bail herself and her sisters out of debt. The offer is too good for her to resist. From Australia to Marietta Montana. I loved the characters and the storyline. I can't wait for Chance's brothers to get their stories. I so enjoyed this story of a mail order bride. Chance needed a ranch hand so he advertised for a bride for one year as he recovers from an injury from bull riding. Callie lives in Australia, she needs so money for her sisters after an untimely death of her parents. Callie arrives to the ranch and is not afraid of hard work, and a mutual attraction develops pretty fast. They are just perfect for each other, now for Chance's brothers to think the same. A great story on a marriage of convenience that develops into true love. Loved the characters. Callie was not afraid of hard work and what other people thought. I really hope we get to read more about Chance's brothers, hint, hint!